Anybody else hung up about the plane crash in the French Alps? OK, terrorism is ruled out. Not applicable in this case. 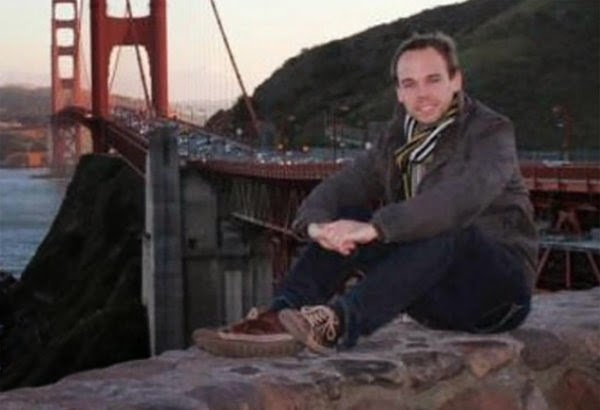 Andreas Lubitz, above, the co-pilot who did the deed — turning the knobs for descent multiple times which assures it was no accident, then preventing the pilot, returning, presumably, from a toilet break (this part could be better filled out, what exactly was he doing when absent from the cockpit?) from entering the cockpit to stop him, had no history of mental weirdness. The pilot bangs on the cockpit door. Passengers scream. If this was what Yeats called in his wonderful poem "An Irish Airman Foresees His Death" naught but "a lonely impulse of delight" for co-pilot Andreas Lubitz why take all those people with him? It would not have occurred to the Irish World War I pilot imagined by Yeats to involve anyone else. Was the co-pilot suddenly and irresistibly in love with death? Pretty simple to confess bafflement. Vu den? To me it seems these grotesque incidents are very much more common than when we were kids. This has not made airplane travel any less safe, but there's this worldwide sense that everybody 's life is getting cheaper for all sorts of reasons. .
>To me it seems these grotesque incidents are very much more common than when we were kids. maybe. i can't tell. why do you say so? With news now coming in about the co-pilot's mental condition, it's beginning to be comprehensible, barely. The utter incomprehensibility or complete mystery of such an action — the lack of any tangible motivation — would trouble me for a long time.